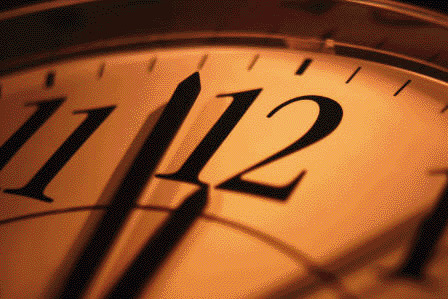 Biometric time clocks have arrived, and arrived in a big way. Yet while businesses are jumping on the bandwagon, getting rid of old punch card systems, and going biometric several misconceptions still exist about this amazing technology. Much like any security system, biometrics are only as good as the people who implement it. In the case of biometric time clocks, the information, except in select cases, is not stored after the employee leaves the firm. Secondly, most of the devices do not read fingerprints, but hand physiology, shape, and temperature. In other words, biometric time clocks are not a threat to personal privacy. What the devices do, in any case, is improve security for the company. From an employee's point of view, the machines are convenient, since the worker can merely place a hand under the scanner and get the green light for clearance. Office workers in sensitive settings are usually happy to know that their safety is uppermost in the mind of business owners. Biometric hand punch technology and fingerprint machines save businesses significant amounts of money for various reasons. First, the clocks are extremely efficient data storage devices. If programmed correctly, they are error-free and easy to operate and employers no longer need to worry about "buddy punching." Also, hand geometry cannot be falsified. If a person cannot pass the biometric clock scan, he or she will not be permitted into the location, and an alarm of some kind will be triggered. 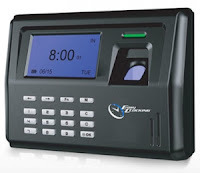 For the primary task of record keeping, biometric time clocks are ideal, as they do the job fast and efficiently. Records are stored either in the clock on site, or can easily be routed via Ethernet to any computer terminal at the company's headquarters, whether that site is next door or across an ocean. As every entrepreneur knows, a business plan is crucial to success. Even if you've been in business for a while, if you haven't formulated a business plan there is no reason you can't start one now. A business plan is essentially a road map to your success. Think of it as a time clock to track the minutes you're spending to grow and market your business and the minutes you spend taking care of your current clients. An executive summary. This should be your "elevator pitch" for your business. If you had to sum up in a few sentences or less the hows and whats of your business it would be what your executive summary sounds like. Use this section to offer investors, or to remind yourself, of why you believe your business concept is a compelling one and how it will propel you toward success. What is your business model? This is where you explain how your concept will generate money. What is your sales model? 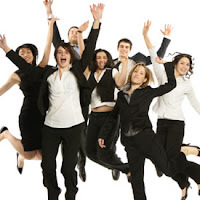 In this section detail where your customer base will come from to support your growth. What is your customer demographic? 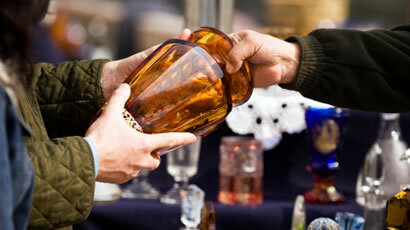 How will you find potential customers? How will you market your business? What kind of pitch will you use to spread the word? What medium will you use to market your business? What is your budget for marketing? Do you have an idea in mind of how large your market is? Analyze how many clients you will reach on a monthly basis and how much revenue they will generate for you. Income and expense projections. How much will you need to bring in compared to what your expenses are to remain viable? Will you need to hire employees that are able to perform tasks for which you are not experienced i.e., marketing, accounting, etc. Regardless of whether you're looking for investor capital or to secure a bank loan, a business plan is a necessary part of a successful venture. Your business plan should also be a living document - one that you refer to frequently and update as needed. Your business plan can help you not only retain current clients but can help you find new customers. Use your business plan to find new ways to build your business. If the information contained in your business plan has failed to meet the expectations and growth you originally hoped for take some time from your day-to-day business operation and revamp your plan to meet the needs of a growing and ever-changing market. 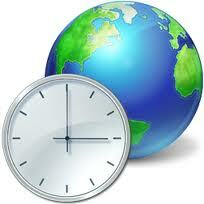 Time clocks have a beginning back in 1888, where a jeweler invented the world's very first time clock. It would be until later that time clocks took off, however, when the jeweler's brother, Harlow Bundy, marketed and sold the time clock via the Bundy Manufacturing Company. The company soon became the International Time Recording Company, due to a high demand for time clocks. Much later, however, it would take on its final name, and well-known modern name, International Business Machines (IBM). While time clocks from these olden times could vary in design they all shared one thing in common: they provided a means for businesses to track employee attendance and tardiness by providing them with a card that checked their arrival and departure times at the workplace. Some older models of time clocks used dials or wheels, where an employee would have to dial their employee number and then punch their card. This method was easy for employees to abuse, however, which led to the next innovation: a sheet fed time clock. From the 50s to the 70s time clocks had employee time sheets that were used, eliminating wheels and dials and allowing for the rise of mechanical punch time clocks. 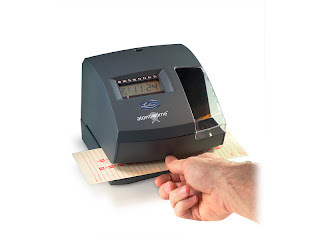 Though mechanical time clocks are still used today, during the 70s cards with magnetic strips that identified employees were invented and implemented in many different workplaces. In the present day, the most advanced time clocks are called biometric time clocks and can actually scan a body part to clock an employee in or out. 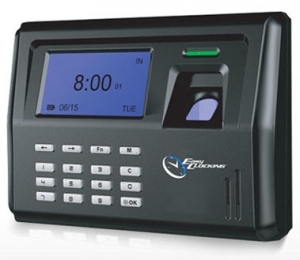 One of the more popular of these types of biometric time clocks are ones that are outfitted with fingerprint scanners, where the employee merely scans their fingerprint to clock in and out of work.